The Bible is a source of inerrant truth to over a billion humans but with a book (or more literally a set of books) of this age, speculation arises as to the facts contained therein. This list looks at some of the historical mysteries and even some of the theological mysteries contained in the Bible. These are all topics which fascinate biblical scholars and laymen alike. <?<SPAN style="FONT-FAMILY: 'Times New Roman', 'serif'; mso-fareast-font-family: 'Times New Roman'; mso-bidi-language: AR-SA; mso-ansi-language: EN" lang=EN>The mystery: Where is the Holy Grail? According to Christian mythology, the Holy Grail was the dish, plate, or cup used by Jesus at the Last Supper, said to possess miraculous powers. The connection of Joseph of Arimathea with the Grail legend dates from the late 12th century in which Joseph receives the Grail from an apparition of Jesus and sends it with his followers to Great Britain. Belief in the Grail and interest in its potential whereabouts has never ceased. Ownership has been attributed to various groups (including the Knights Templar, probably because they were at the peak of their influence around the time that Grail stories started circulating. 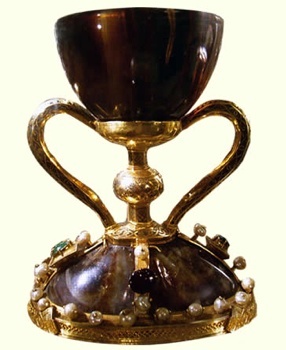 There are cups claimed to be the Grail in several churches, for instance the Saint Mary of Valencia Cathedral, which contains an artifact, the Holy Chalice (pictured above – note, only the top “cup” portion is original), supposedly taken by Saint Peter to Rome in the first century, and then to Huesca in Spain by Saint Lawrence in the 3rd century. The Valencia chalice does hold some merit as a contender for the true grail as it has been scientifically asserted to have been created between the 4th century BC and the first century AD in the Middle East. Other stories claim that the Grail is buried beneath Rosslyn Chapel or lies deep in the spring at Glastonbury Tor. Still other stories claim that a secret line of hereditary protectors keep the Grail, or that it was hidden by the Templars in Oak Island, Nova Scotia’s famous “Money Pit”. The mystery: Where is the Ark of the Covenant? 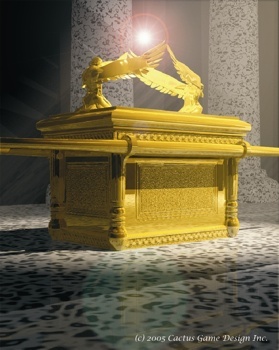 The Ark of the Covenant is a container described in the Bible as containing the tablets of stone on which were inscribed the Ten Commandments as well as Aaron’s rod and manna. The ark was kept in Jerusalem until the Babylonians plundered and destroyed the temple. From then, the Ark entered the domain of legend as it vanished forever. Some of the theories for where it may be are: Intentional concealment by the priests under the Temple Mount; Intentional removal from Jerusalem in advance of the Babylonians; and Removal of the Ark by the Ethiopian prince Menelik I. Modern excavations near the Temple Mount in Jerusalem have found tunnels, but digging beneath the Temple Mount is heavily restricted. One of the most important Islamic shrines, the Dome of the Rock, sits in the location where the First Temple of Solomon is alleged to have stood. According to the Bible, King Solomon, when building the temple, had the Ark of the Covenant put on a platform which could be lowered down into a tunnel system if the Temple were ever overrun. This would make it a plausible location. The mystery: Were they real cities and if so where are they? For the sins of their inhabitants Sodom, Gomorrah, Admah, and Zeboim were destroyed by “brimstone and fire from the Lord out of heaven” (Genesis 19:24-25). In Christianity and Islam, their names have become synonymous with impenitent sin, and their fall with a proverbial manifestation of God’s wrath. The historical existence of Sodom and Gomorrah is still in dispute by archaeologists. The Bible indicates they were located near the Dead Sea. 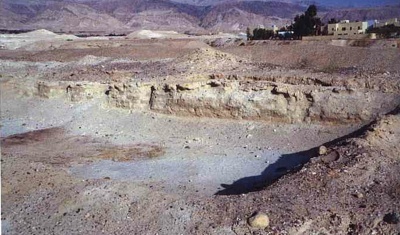 Possible candidates for Sodom or Gomorrah are the sites discovered or visited by Walter E. Rast and R. Thomas Schaub in 1973, including Bab edh-Dhra, which was originally excavated in 1965 by archaeologist Paul Lapp. Other possibilities also include Numeira, es-Safi, Feifeh and Khanazir, which were also visited by Schaub and Rast. All sites were located near the Dead Sea, with evidence of burning and traces of sulfur on many of the stones and a sudden stop of inhabitation towards the end of the Early Bronze Age. The mystery: Where is the Garden of Eden? 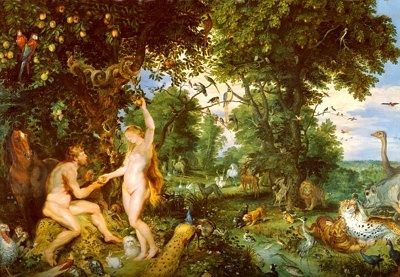 While the majority of Biblical scholars and theologians consider that the story of the Garden of Eden is most likely not literal, some people do believe that the place existed in reality. Furthermore, the Bible gives directions to the location. This has led to many attempts to locate the garden. The creation story in Genesis relates the geographical location of both Eden and the garden to four rivers (Pishon, Gihon, Tigris, Euphrates), and three regions (Havilah, Assyria, and Kush). There are hypotheses that place Eden at the headwaters of the Tigris and Euphrates (northern Mesopotamia), in Iraq (Mesopotamia), Africa, and the Persian Gulf. While the true location is a mystery, there is a particularly fascinating twist to this tale: Ethiopia is mentioned as being near or surrounding the Garden of Eden in Genesis 2:13 (“And the name of the second river is Gehon: the same is it that compasseth all the land of Ethiopia.”). Since 1974 Paleontologists have excavated six million years of life and conclude that Ethiopia is the scientific location of human origin, a scientifically true Garden of Eden. The mystery: The Bible appears to contain coded messages; is this a coincidence? The Bible code, also known as the Torah code, is a series of messages alleged to exist within the Bible text, that when decoded form words and phrases supposedly demonstrating foreknowledge and prophecy. 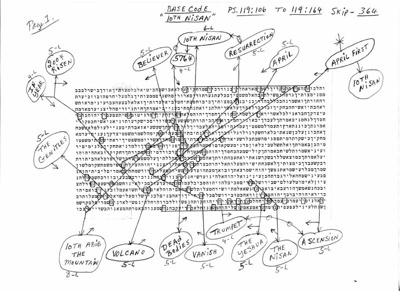 The study and results from this cipher have been popularized by the book The Bible Code. The primary method by which purportedly meaningful messages have been extracted is the Equidistant Letter Sequence (ELS). To obtain an ELS from a text, choose a starting point (in principle, any letter) and a skip number, also freely and possibly negative. Then, beginning at the starting point, select letters from the text at equal spacing as given by the skip number. For example, the bold letters in this sentence form an ELS. With a skip of -4, and ignoring the spaces and punctuation, the word SAFEST is spelled out backwards. Bible codes proponents usually use a Hebrew Bible text. The use and publication of “predictions” based on Bible codes has succeeded in bringing about popular awareness of the codes, most notably based on the work of journalist Michael Drosnin. Drosnin’s most famous prediction, in 1994, was the 1995 assassination of Israeli Prime Minister, Yitzhak Rabin, using a Bible code technique. 5. The 12 Lost Tribes. The mystery: What happened to the lost tribes? 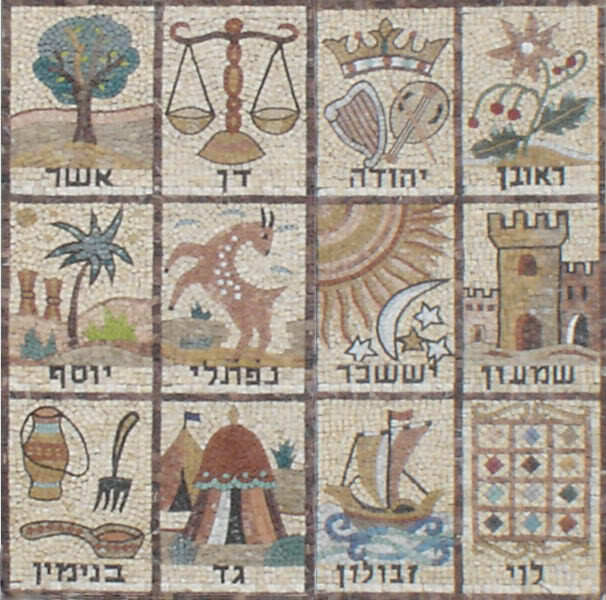 The phrase Ten Lost Tribes of Israel refers to the ancient Tribes of Israel that disappeared from the Biblical account after the Kingdom of Israel was destroyed, enslaved and exiled by ancient Assyria. Many groups of Jews have doctrines concerning the continued hidden existence or future public return of these tribes. This is a subject that is partially based upon authenticated and documented historical fact, partially upon written religious tradition and partially upon speculation. There have been some bizarre claims about who may be descended from the lost tribes. Some claims include the Irish, Native Americans, British, and the Japanese. The Kaifeng Jews (pictured above) in China claim to be descended from one of the lost tribes. The mystery: Who was the pharaoh of the Exodus? 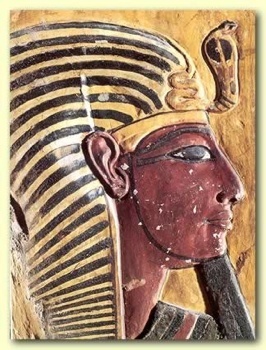 The Pharaoh of the Exodus is the pharaoh (king) who ruled over ancient Egypt at the time of the Exodus. More precisely, it is the question of who this pharaoh might have been. The story of the enslavement of the Children of Israel in Egypt, the plagues by which God forces their release, and their subsequent escape from a pursuing army at the Crossing of the Red Sea, is told in the opening chapters of the Book of Exodus. The pharaoh of the story is not named – he is referred to simply as “pharaoh” – and the question of his identity has been the subject of much speculation among those who believe the Exodus to be a real event. The most commonly imagined figure in popular culture is Ramesses the Great, although there is no documentary or archaeological evidence that he had to deal with the Plagues of Egypt or anything similar or that he chased Hebrew slaves fleeing Egypt. There is also an account made by Merneptah, in the form of a poem from the so-called Israel Stele, which makes reference to the supposed utter destruction of Israel in a campaign prior to his 5th year in Canaan: “Israel has been wiped out…its seed is no more.” There is basically no evidence to strongly support the view of any specific Pharaoh as the one mentioned in Exodus. The mystery: Where is Noah’s Ark? From at least the time of Eusebius (c. 275 – 339 AD) to the present day, the search for the physical remains of Noah’s Ark has held a fascination for Christians, Jews and Muslims. Despite many rumours, claims of sightings and expeditions no scientific evidence of the ark has ever been found. The search for the ark has been called a “wild goose chase” by some archaeologists. Ark searchers have had little to guide them to the Ark beyond Genesis’ mention of the “mountains of Ararat”. By the middle of the 19th century, archaeologists had identified a 1st-millennium BC kingdom and region of Urartu, contemporaneous with the Assyrian empire and the early kingdoms of Judah and Israel, located in the mountains of present-day Armenia and eastern Turkey. Not until the 19th century was the region settled enough, and welcoming enough for Westerners, to make it possible for significant expeditions to search for the Ark. 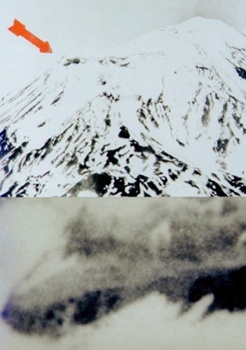 By the beginning of the 21st century, two main candidates for exploration had emerged: the so-called Ararat anomaly (pictured above) near the main summit of Ararat (an “anomaly” in that it shows on aerial and satellite images as a dark blemish on the snow and ice of the peak), and the separate site at Durupınar near Dogubayazit, 18 miles (29 km) south of the Greater Ararat summit. Here is an interesting article on the most recent discovery of petrified timber purported to be part of one of the walls of the boat. The mystery: Who was the Beloved Disciple? 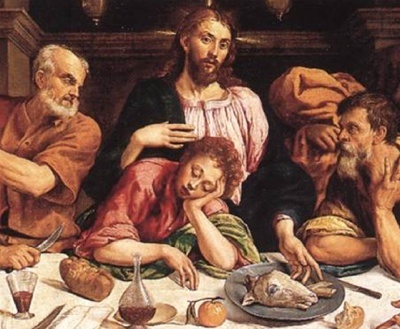 One of the biggest mysteries in biblical scholarship concerns the identity of “the disciple whom Jesus loved.” According to the Gospel of John, this was the disciple who leaned on Jesus during the Last Supper, and the only male disciple present at the crucifixion. In addition, John 21:24 implies that the entire Gospel of John is based on this disciple’s memories. Yet, oddly, it never gives his name. The other three gospels don’t give his name either. In fact they never even mention this “Beloved Disciple” (as he is often called). They also say nothing about any disciple leaning on Jesus during the Last Supper or witnessing the crucifixion. Their total silence on the matter only adds to the mystery. A number of scholars have argued that the Beloved Disciple was Lazarus, the brother of Mary and Martha of Bethany, and the man that Jesus raised from the dead. The reason for this is the fact that when the sisters summoned Jesus to help Lazarus, they said: “Lord, the one you love is sick.” Some modern theories even claim that Mary Magdalene was the Beloved Disciple – an idea which would certainly impress. 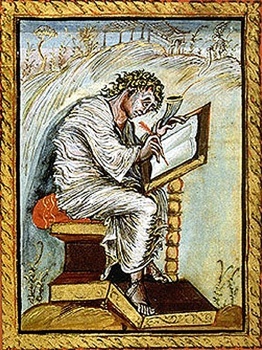 The mystery: Who wrote the Gospels? The gospels are probably the most important part of the New Testament and until the 18th century their authorship was generally not regarded as a mystery. But as modern biblical scholars investigated the history of the four books, they began to question the fact that they were written by Matthew, Mark, Luke, and John. There is much speculation (mostly based on the order of the writing of the books) that the gospels were written by people who know the apostles, but not by the apostles directly. This is a mystery that is unlikely to be solved unless a “master” source document for the common quotes in the gospels is discovered which would explain the anomalies which are spoken of in support of the non-apostolic author theories.